What is a *FREE* customer worth? I always wonder if companies should pursue community building with lots of users, or a few paid users. While both have their advantage, it is a question that can be better answered on a case-to-case basis. Many factors might affect the strategy a company might want to employ – funding levels (do you have money to invest through a franchise building phase? ), maturity of the market (how many other players are there? ), state of the product (is your product extremely well-defined, or are you tuning it still? ), but I found this feature story by Sunil Gupta and Carl Mela that brings to the fore a new dimension and one I had not been able to quantify — indirect network effects — when you acquire a free customer, over time they might start buying from you, or attract other customers. Gupta and Mela point out these free customers are extremely important for many businesses — from a shopping mall where they build up aspirational value and buy products later, or gaming consoles where it drives more developers and a wider eco-system leading to a higher monetization. They explain these in light of an online auctions house — where more buyers lead to more sellers and higher lifetime earnings even though the buyers don’t actually pay a fee. What’s really interesting about the report is that they have quantified these indirect network effects, explain how a penetrative pricing (low initially, and higher later) leads to higher lifetime earnings since it broadens the base. Also reminds me of when I was talking to a manager in Shoppers Stop sometime back, and he told me that everybody walking into his store is a potential customer — they might not buy anything now, but the fact that they walked in shows that they are interested in buying something, and will come back and buy. Which is also true of brands targeting youth — they don’t have a lot of immediate spending power, but very high lifetime earnings, and so you are better off getting them hooked onto your products. Why is FDI out of US more profitable than FDI into the US? successful at home is likely to be insufficient in the United States. 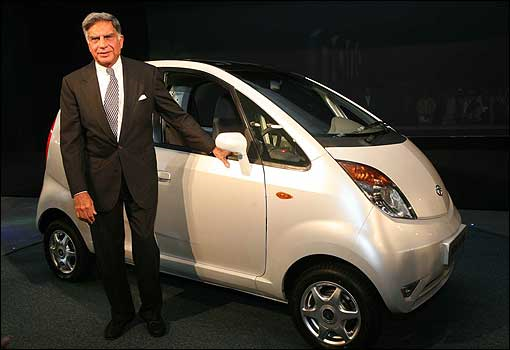 Ratan Tata really pulled it off. Half a decade back, he had said that he wanted to give India a small car that would be within reach of the millions of Indians who have to make do with two-wheelers, and last week in the Auto Expo, he delivered on his promise. And in what style — the whole world sits up an takes notice! The media’s been abuzz with the grand success that Tata has pulled off, to the dismay of all nay-sayers who believed that the car who found a thousand and one ways to make fun of the whole concept. Even after the car came out, people have been debating why we need to clog our roads further, how RK Pachauri’s heart would miss a beat, and Sunita Narain would get a shiver down her spine, and Chidambaram due to the oil import bill. While I agree that such a cheap car is such a disruptive thing that the whole way we think about roads, infrastructure, and gas imports needs a rehash. (This really came out of a discussion on the Blogaloreans mailing list:) I would say that in the midst of all the praise and criticism, we miss a few important points. Which leads us to the inescapable fact that a Tata Nano in Chennai is, from the biosphere’s perspective, similar to a Toyota Corolla in Vancouver. Even within the cities, the traffic argument fails to pass muster when you consider that traffic and other problems would occur anyway — Nano or no nano — and all the new car has done is to accelerate the process. We would have to come up with more innovative means of handling the growing traffic on our roads anyway (taxing vehicles in the Central Business District like in London is one idea) and improve the mass transport system (like in Kolkata and Delhi). The government and the Municipal Corporations need to be more proactive both in legislation and regulation. I am personally of the view that a car should be used as a means of last mile connectivity and local transport, and I like the concept of driving to the nearest Metro station, park your car there and go to work using the Metro. IMHO, this is the model that can scale in the long run. Obviously, another important use of a car is the drive through the highway, where the safety of a car is far more reassuring than a bike or a scooter. Autos and cabs would be another thing that would benefit greatly from this development, and if we think about what causes the most madness on the roads (autorickshaws, bikes and the like) we would be better having single-sized four wheel vehicles, which have no option but to stick to the lane discipline. There are other fallouts as well, the chest thumping we can now do in a major manufacturing conference is only one of these. The world is sitting up and taking notice of India’s design and engineering prowess, and I am sure the outsourcing companies have already started giving higher revenue projections. The Tata car has almost become a barometer in some circles, and its making its competitors re-think their strategy. 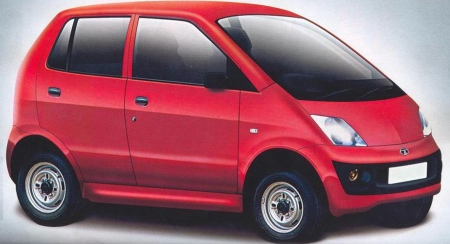 It’s already got them new enemies — Bajaj was so worried that he announced his own car! And the ramifications are not limited to the automobile segment alone! The new car revolution might just take the country by a storm just like the mobile revolution, and change our fundamental assumptions about a host of things. All said and done, to me the biggest advantage of this new development is that Indians will have another thing to boast about — when they promised and delivered. It will add a new spring to their step, and inshallah, help our country forward over the coming years. Note that some of these nations rank up to 30 slots above us. Others fall within 30 nations below us. Not one of them has had our nine per cent growth. Few of them have been touted an emerging economic superpower. Nor even as a software superpower. Not even as a blossoming nuclear power. Together, they probably do not have as many billionaires as India does. In short, even nations much poorer than us in Asia, Africa and Latin America have done a lot better than we have. It is not clear yet how agencies other than the Bank, like the UNDP for instance, were working with PPP. Were they using updated measures or the old data? If the latter (which seems the case), and given India’s entry in the Bank survey is recent, even our awful HDI performance could get worse. The captain has switched on the seat belt sign. Buckle up: we could be landing soon on the updated numbers. Americans beat Indians at their own game? BW got foot in the mouth! IBM once looked like a lumbering giant next to India’s agile tech upstarts. But in scarcely five years, Big Blue has come to dominate the Indian market, with a staff of 53,000 in the country and huge R&D centers in Bangalore and New Delhi. Read this edition of the Asia Insider to learn how the Americans beat the Indians at their own game. The article never said anything to that effect! My best guess is that some guy in the PR department at BW who was responsible for the uninteresting, mundane and morbidly boring task of sending out spam suddenly suffered from a bout of foot in the mouth. First of all, I don’t think anybody has beaten anybody in this game of outsourcing. The money has come following the talent, and it’s not just IBM, but Accenture (India’s the second largest Accenture operations), EDS (which acquired Mphasis – here and here) and all other IT biggies are making bit bets on using Indian talent to fight Indian vendors like Infosys, Wipro and TCS who have been snapping at their heels. However, I am not sure if that can be termed a win of Indian talent or of the American business acumen. (Actually, I would not prefer an argument about winning and losing at all — since it is too early to predict anything — the Indian IT vendors who used to be mere outsourcing outfits earlier now want a larger piece of the pie, become consultants, and go after bigger money. For example read this, this, this — I didn’t try to get the best articles in the area, but just some of the recent news). It seems obvious that Indian companies are far more profitable than their western counterparts for every penny (or cent perhaps) of revenue that they make — and the markets reward them accordingly. If you look at the MCap column, you would realize why the biggies are unable to try their luck at acquiring some of the larger IT companies in India — because they are bigger than the western counterparts! (IBM of course, has many divisions, and it might be difficult to get data on their software services division). So much for winning and losing. Until recently, I thought that foot-in-the-mouth was not a very communicable disease and spread only on contact with a creature named George Bush. I have, obviously, been proven wrong. Ronen Sen recently caught it, and now BW! Looks like its spreading faster than I imagined. Is somebody aware of necessary vaccination which I can take?